Hawaiian Airlines (HAL) was established in the year 1929 as Inter-Island Airways. 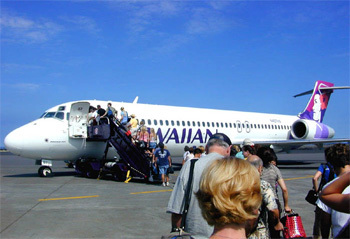 Being the 11th largest commercial airline in the United States, Hawaiian Airlines operates scheduled flight services to over 19 destination cities. The airlines operate from its primary hub in Honolulu International Airport and also at its secondary hub located at Kahului Airport on the island of Maui. 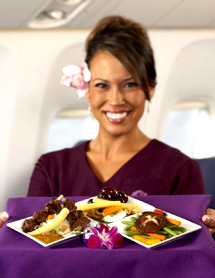 HawaiianMiles is Hawaiian Airlines' frequent flyer program and its member lounge is known as the Premier Club. In terms of its frequent flyer program, members get to earn miles in accumulation as part of the program. These miles will then be used to either redeem air tickets, upgrade service cabin class, or exchange it for free or discounted car rentals, hotel stays and merchandise through its participating merchants.